Shedtemberfest is Coming Up Soon! We need volunteers! Hello Gardeners big and small! Of course, anyone who can make it is welcome to attend the actual shed raising at 2PM on the 22nd! 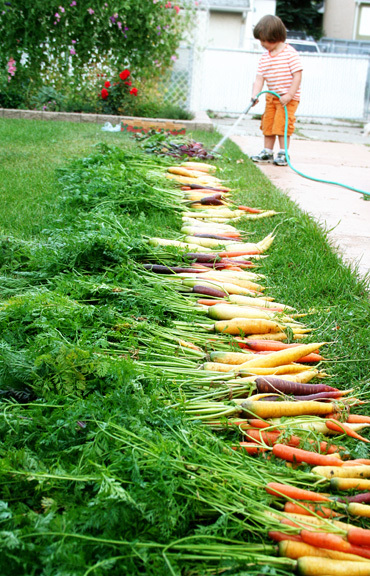 Tonight a contingent of Parkallen Diggers and Parkallen Sprouts will attend the 2012 Edmonton in Bloom Awards at City Hall – 7 p.m.
It’s harvest time and we’re celebrating with a Parkallen Community Harvest Potluck at the Parkallen Hall. Parkallenians of all ages are welcome. Bring a dish that features something you grew, wild harvested, or purchased from a local, sustainable source like a vendor at the farmer’s market or Eat Local First. The potluck meal is at 6:00 p.m. on Friday, September 23rd. The Parkallen Community Garden is not productive yet — the soil is still under construction under layers of mulch. 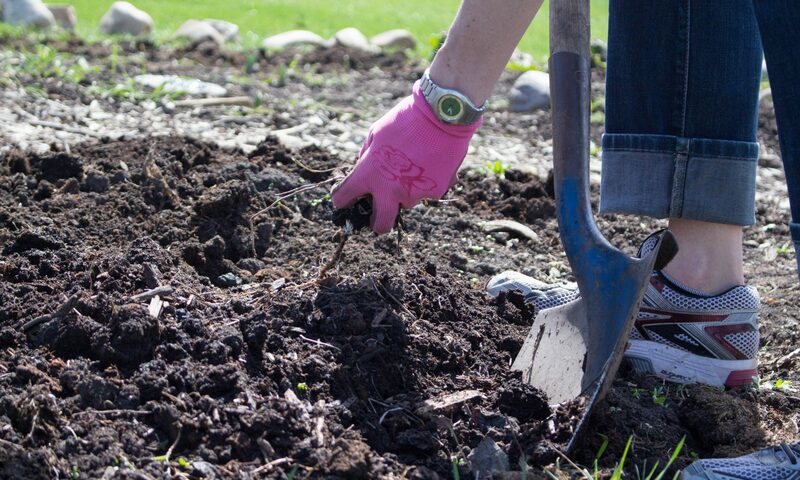 We are looking forward to planting fruit trees, strawberries, and maybe some shrubs this fall before the snow falls. So don’t put away your shovels yet! Community input is welcome in designing the decorative, southfacing border of the Parkallen Community Garden over coffee and desert at the Fall Harvest Potluck. Dessert/coffee/design from 7:00 p.m. – 7:30 p.m. on Friday, September 23rd at the Parkallen Hall. 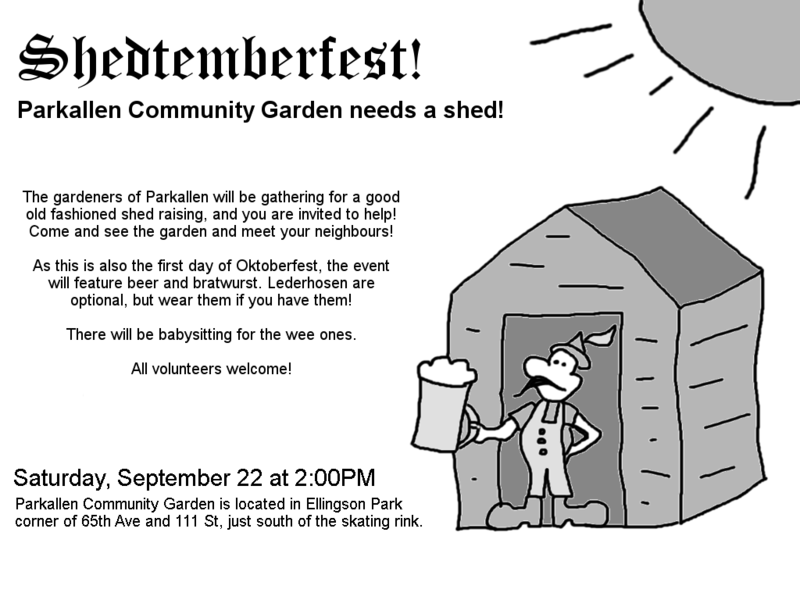 Meet other Parkallen gardeners, learn more about the Parkallen Community Garden, have fun and celebrate fall.